Angry Birds: Isle of Pigs took the scenic route to the iPhone. Rovio began flirting with augmented reality on the Magic Leap of all places, releasing First Person Slingshot for the headset last year. Last month, Angry Birds VR: Isle of Pigs hit Steam for the HTC Vive and Oculus Rift. Now, it seems, the AR version of the title is finally ready for a mainstream audience, as Rovio preps the game for a spring release on iOS. 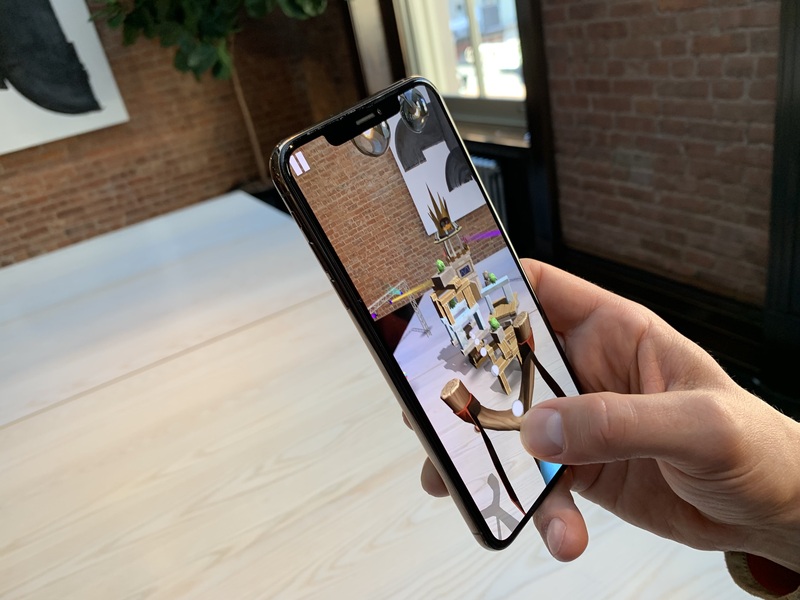 The game, developed by Swedish company Resolution Games, builds on the learnings from its predecessors, creating a customized version of the game for the mobile form factor. Sami Ronkainen, Rovio’s creative director, Extended Reality, told TechCrunch that the more mainstream version of the title borrows some levels from the earlier versions, while introducing a number of originals. Of course, an imminent release for iOS marks far and away the largest potential audience the game has seen to date. But Rovio, notably, doesn’t stray too far from its roots here. 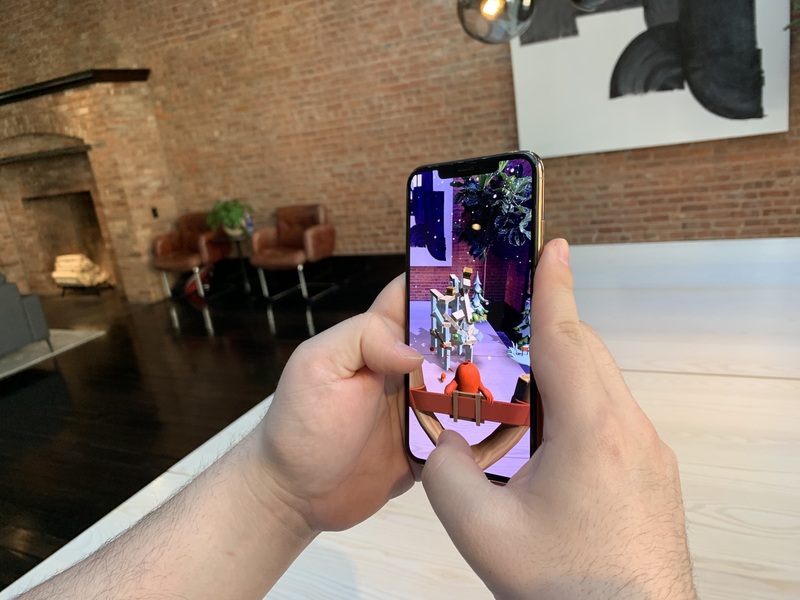 While the title adopts a first-person view to make the most of the augmented reality experience, it’s the same game at its core as the one that debuted on the iPhone 10 years ago this December. You slingshot irritable avians into weak points of compromised structures in order to take down enemy pigs. You know the deal. They made a whole feature-length film about it (with a sequel on the way this summer). When you fire up the game, it will detect its environment for a suitable surface and start building structures on top of it once found. The environment and characters are brought to life in compelling ways, interacting with you as you move around. In fact, moving is a big part of the game. This isn’t one you’re going to want to play on the subway — it requires getting creative about the angles you adopt to fell the structures. You can either build a team of your own and make your own mistakes, or you can partner with the best people who have a good track record of building AR games. I had a little hands-on time with the game earlier this month, and was impressed with the little touches throughout, from the snowfall in certain levels, to the pigs’ snorts as you come near. And certainly the new angle adds a different dimension to a game that’s frankly been run into the ground after years of sequels and spin-offs. How long it will maintain that fresh outlook is another question entirely. So too is the question of how much users will want to engage by moving around over the long run. Ditto for the question of interacting with an AR game through a mobile device, rather than a headset. It’s clear that one of the reasons Rovio chose headsets first is that they’re simply a more natural method for interacting with a title like this. What iOS does represent, however, is a way to bring the experience to the masses. For Apple, meanwhile, the casual game represents the potential to bring the ARKit experience to a much broader user base. 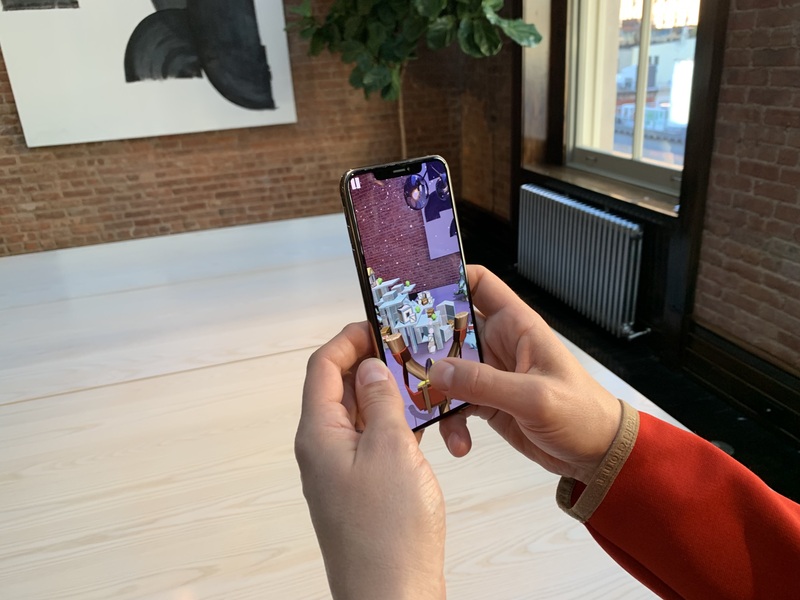 Apple really needs one or two titles to showcase augmented reality on the mobile platform for mainstream users, and Angry Birds has both the name recognition and simple gameplay to do just that. The title is available for pre-order starting today. It will arrive at some point in “late-spring.” It’s free to play, but will likely feature some manner of in-game purchasing — though the company tells me it hasn’t “locked down a business model” just yet.